I hiked to the first pool and thought maybe I should try it. But it was right next to the trail, maybe a ten minute walk from where I parked. I figured there was just no way anyone had left a fish in there, and no way one had managed to elude even the few fly fisherman who pass by. 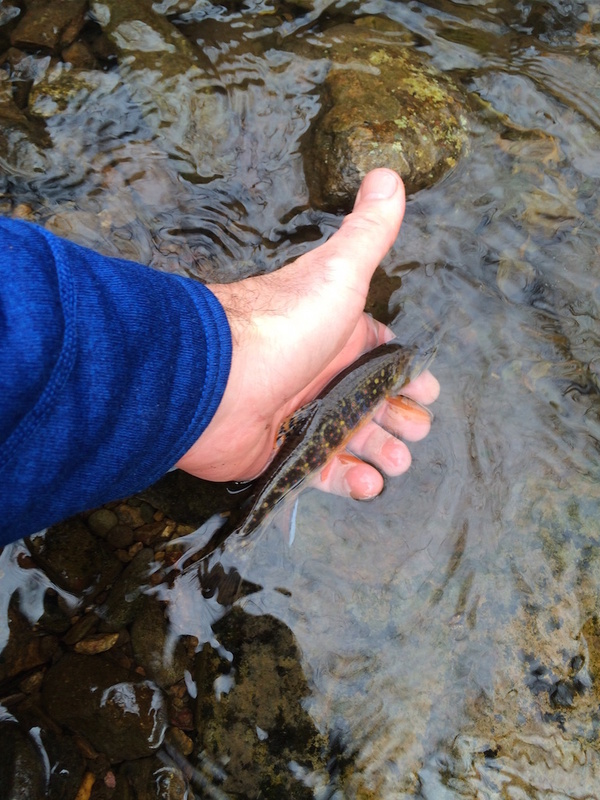 And to have grown to a decent size, any fish that had managed to survive would have had to do it for a couple years, then either leap up a few small falls or bash its way down from the bigger rocky cliff just upstream in order to sit in this spot and survive. It didn’t seem likely. Thought I should just skip it. Then… revelation. What the hell, why pass by any pool that looks like it may be good enough to hold a fish? I have passed by so many similarly marginal-looking spots before. Maybe I have been denied some record for the number of trout I’ve caught by skipping past these exposed pools. Probably missed some citation-sized leviathans, too. Right? So I gave it a go. 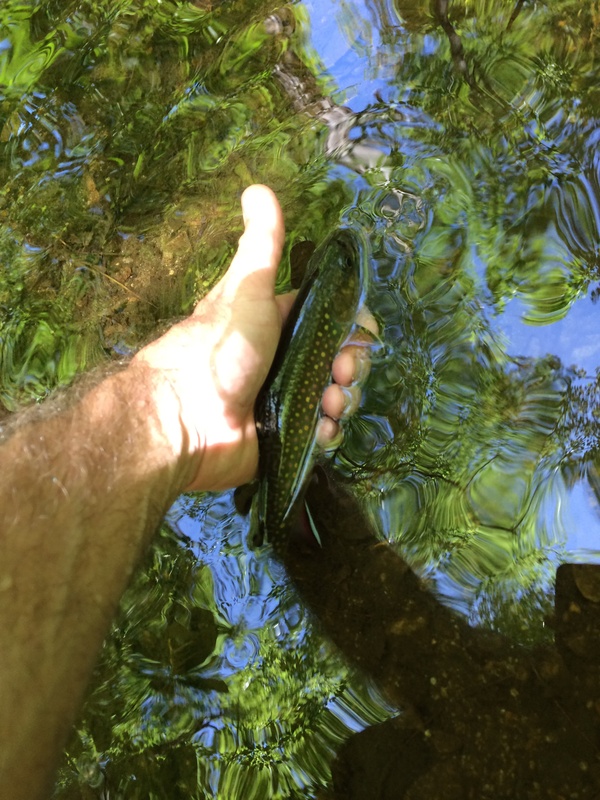 I do what I usually do in these small stream prospecting situations; tie on a size 14 Royal Wulff. Or was it a size 12? Doesn’t matter. Slathered it with some floatant, greased up the leader and sharpened the hook. Lowering the rod and myself, I crawled to the pool, trying to find shade and keeping my shadow far away from the water when I couldn’t. Even more likely that this spot had been fished out owed to the perfect lie of it. This stair-step run bent northeast just enough so that the midday sun couldn’t quite draw my silhouette on the water. Surely someone had depleted it. First cast to the glassy tail of the small basin of water with just the leader out of the guides. The fly sat, then began its drift so slowly downstream, sitting upright like a newly hatched bug. Nothing. Second cast to the bubbling current in the middle, along the edge closest to me. Nothing. 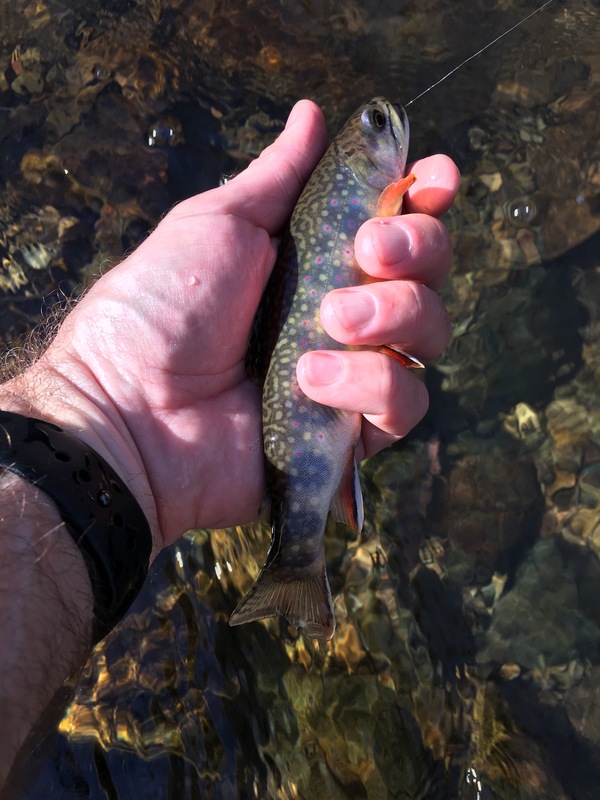 I kept working the fly a little further out and upstream each time I threw it, and raised the rod tip to keep the entire leader off the water and the fly drifting freely. About a half dozen casts in and I hooked him. 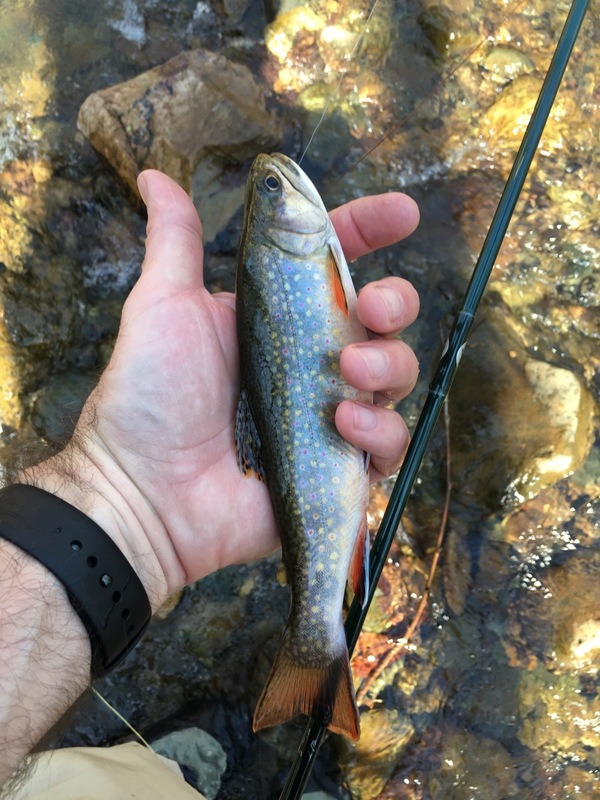 Beautiful seven inch brook trout. And that was it. Every other spot, especially the hard to reach little gorges and snaky looking banks… Nothing. Got some of these: And one of these: And several of these: Not a bad month.